No Internet on the go? Don’t worry, you can still have a productive day How I Made My Browser Insanely Productive With This One Simple Trick How I Made My Browser Insanely Productive With This One Simple Trick What if you could get most of your digital work done without the Internet? I have a solution for you. Take your browser offline. Read More on your laptop if you do a little prep work. 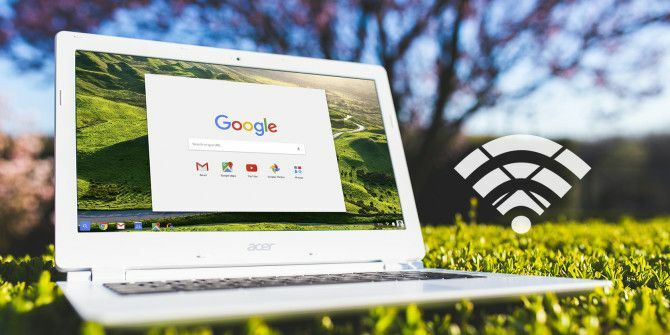 Chromebook user or not, as long as you’re a Chrome user 5 Desktop Apps You Can Ditch If You Have Google Chrome 5 Desktop Apps You Can Ditch If You Have Google Chrome Chromebook user or not, with Google Chrome you can turn any desktop, laptop, or tablet into a powerful machine for work and play. Read More , you can install offline extensions (and apps) for common tasks like note taking and editing PDFs. We’ll show you some of those extensions today, right after we introduce you to the most important extension of all: My Cats New Tab. It displays wallpaper images of adorable furballs in every new tab, even when you’re offline. The extension also gives you a to-do list, a music playlist, and weather info. We had you at cats, didn’t we? If you use a task management service like Wunderlist, Todoist, or Any.do, install its Chrome extension to keep your to-do list handy. If that extension doesn’t work offline, install a backup — nothing fancy, just a quick way to copy-paste your tasks for the day before you leave a WiFi-enabled zone. We recommend Dayboard for its simplicity and ease of use. Dayboard adds a to-do list to Chrome’s New Tab page. You can list only five tasks at a time, which means that you have to weed out the unimportant ones. Momentum is another excellent New Tab extension. It comes with a beautiful image, daily focus, to-do list, and a quote to inspire you. It’s the start screen we keep coming back to despite so many gorgeous new tab extensions 12 Gorgeous Chrome New Tab Extensions You've Probably Never Tried 12 Gorgeous Chrome New Tab Extensions You've Probably Never Tried You open a new tab when you have a destination in mind, so your eyes are going to rest on it only for a few seconds. Wouldn't you like the tab to look beautiful? Read More being available on the Chrome Web Store. If you’d like to leave the new tab alone, install Todo.txt to manage your task list offline. The extension goes with the Todo.txt method, which involves using a text file 8 Everyday Things That You Can Track with Text Files 8 Everyday Things That You Can Track with Text Files Storing data in text files is a shortcut to a simpler workflow. Let's use the humble text file to track everyday data with these tips and improve our productivity. Read More to track your tasks. Gina Trapani, the founding editor of Lifehacker, uses this method to get things done My One Best Productivity Trick: How Gina Trapani Gets Things Done My One Best Productivity Trick: How Gina Trapani Gets Things Done Gina Trapani has one top poductivity trick to get things done even on a busy day. Here's what it is. Read More . For Storing, Viewing, and Editing Documents: Google Drive & Co. If you use Google Drive, installing its offline-capable Chrome extension to access your files is a no-brainer. We have already shown you how to use Google Drive offline on desktop and mobile How to Use Google Docs or Drive Offline on PC & Mobile How to Use Google Docs or Drive Offline on PC & Mobile The downside to cloud-based services and apps is that you always need to be online to use them. We show you how to take Google Drive offline & what to keep in mind. Read More . Install Drive (aka Jolicloud) if you’d like to access files from multiple cloud storage solutions like Dropbox, Box, and Google Drive from a single location and offline. Google has standalone apps for editing documents, spreadsheets, and presentations. You know them as Google Docs, Google Sheets, and Google Slides (in that order). They all work even without an Internet connection. If you want to view and edit Microsoft Office files from your computer when you’re offline, get Office Editing for Google Docs, Sheets & Slides. It’s a much lighter solution if you don’t want to install Office on your desktop. You can save the edited files back to their original Office format or convert them to the corresponding Google Drive format. This is one popular Chrome app for working with PDFs — it has four and five star reviews all the way. You can use it to view PDFs, split and merge them, add text and voice annotations, and convert handwritten text using Optical Character Recognition (OCR). The extension doubles up as a viewer for other file types like Microsoft Office documents, spreadsheets, and presentations as well as image files like JPEGs, GIFs, and PNGs. And it works with Google Drive! LucidChart may be the diagramming app that everyone recommends — it makes a great alternative to Microsoft Visio Lucidchart Is the Visio Alternative You've Been Waiting For Lucidchart Is the Visio Alternative You've Been Waiting For You might not have heard of Lucidchart before, but I bet you've heard of Microsoft Visio. Read More — but its Chrome desktop app is quite buggy. We’d like to suggest a better alternative: Draw.io. It’s free, doesn’t need you to sign up, and works well for diagrams and mindmaps. If you need some extra power, such as data visualization, go with Gliffy. Have I mentioned how much I enjoy @drawio today? Because, it's all kinds of awesome. Especially for AWS diagramming. We listed Caret as one of the four best text editors for your Chromebook Four Of The Best Text Editors For Your Chromebook Four Of The Best Text Editors For Your Chromebook Do you miss having a simple text editor on your Chromebook's OS? Although Google scrapped its native app, there are still alternatives available. Read More . Caret works offline and has tabbed editing, syntax highlighting, keymappings, full-text search — the works. If you’re a fan of Sublime Text, you’ll feel right at home with Caret, although you’ll miss the split screen editing feature that comes with the former. Before you settle on Caret as your offline code editor, check out Zed Code Editor and Carbon [No Longer Available]. They aren’t as feature rich as Caret is, but they’re solid apps. You’ll love them if you appreciate apps that keep things simple. Picked up a Chromebook today, pretty interesting. Zed code editor is pretty solid, I def like the ability to access/commit to #github. You’re spoilt for choice when it comes to writing apps in Chrome. Writer tops our list of all-time favorites. It gives you a customizable, distraction-free environment to wrangle with the written word, in Markdown and in plain text. You can use Writer to take notes, keep a journal, write articles, compose emails, and so on. It allows you to export your documents as PDFs or text files, directly to Dropbox, Evernote, or Google Docs. The Pro version of Writer gives you features like revision history, real-time word count, and thesarurus access. If you don’t want to install Writer, check out the apps below. They’re not perfect, but some of them come close. Among the dedicated Markdown editors that work offline, the feature rich StackEdit is the most popular one. If you love clean, simple interfaces, you might prefer Mado over StackEdit. It’s a pity that Mado doesn’t have a cloud backup option yet. If you don’t like StackEdit or Mado, try Minimalist Markdown Editor. A word about reading articles when you’re offline: there are some read-it-later Chrome extensions with offline support, but they don’t seem reliable. If you want a solution that won’t gobble up your saved articles and spit out a big nothing after browser updates and crashes, go with Pocket. You’ll need this extension if your text editor doesn’t come with a word counter. It’s super easy to use: install Word Count Tool, select a bit of text, and click on Word Count Tool in the right-click menu. This displays a fly-out box with the word count, character count, the number of unique words and a few other details. Timer has no complex settings for you to deal with. You install the extension, set a time, start the timer, and get to work. You can set the duration of the countdown in minutes, and start, stop, or reset the timer. That’s about it. If you want an extension designed to work with the Pomodoro technique How a Simple Pomodoro Timer Made My Life Better How a Simple Pomodoro Timer Made My Life Better The Pomodoro Technique is one of the simpler time management life hacks. Break through distractions with the help of 25-minute chunks and a timer. It could be a life-changing routine change if it suits you. Read More , install the lovely Cherry Tomato Clock. If you’re looking for a time tracking solution, check out TrackingTime. Skip that in favor of Plus for Trello if you’re a Trello user. This extension has everything from built-in timers to reports to board burndowns. Until the amazing Noisli gets offline support, you’ll have to make do with Relaxing Sounds to listen to nature sounds while you’re working. This extension allows you to combine five different sounds to come up with a sound sequence of your own. The extension’s biggest annoyances? The short loops and the shadiness of the permissions required during installation. If you’re content to listen to the sound of the rain while working, try Rain sound instead of Relaxing Sounds. What I loved about the Polar Photo Editor app is that it shows you, step by step, how you can edit an image for best results and why you need to make specific changes. To access this walkthrough tutorial, click on the bright yellow Show me how to improve this photo button that you can see at the top while viewing one of the default images. Polarr has all the important features that you expect from a decent image editor Four Excellent Image Editors For Your Chromebook Four Excellent Image Editors For Your Chromebook Do you like editing and tweaking images but find the Chromebook's default editor too limited? Here are some alternatives. Read More — adjustment settings, filters, history (with unlimited undo! ), import/export options. Piconion is another offline image editor worth installing. It’s great if you want an app with a Photoshop-like interface. You have limited choices for an offline calculator. That shouldn’t be a problem because the best of the lot, FlatCal, works without a glitch. You can pick from a basic calculator, a scientific one, and a minimal, search-box-type interface from the extension’s settings. FlatCal’s default theme looks nice, but you can switch to a different theme preset if you like. Here’s an interesting tidbit: FlatCal was made by a 15-year-old developer. There’s no reason to torture your fingers into typing more Be Lazy: 3 Tips To Reduce The Risk Of RSI By Resting Your Hands Be Lazy: 3 Tips To Reduce The Risk Of RSI By Resting Your Hands Here are three tips that can ease the burden on your hands and make computer or mobile usage slightly more comfortable. Read More , is there? Keep Auto Text Expander handy for expanding and replacing text when you type. It doesn’t work with certain web apps though. For example, with Google Hangouts and Google Docs. Use Auto Text Expander’s macro feature to create a shortcut for pasting clipboard content and the current date and time as shown below. Back up your text shortcuts to local storage, just in case you ever have to deal with data mishaps. Gmail Offline seems to the be only Chrome extension available for accessing your inbox when you’re offline. That’s not much help if you use a Chromebook and don’t have a Gmail account, unless you have found some clever hack that we don’t know of. Have you? Some of these apps have limited features, so you might want to use them only as stopgaps when you’re out of an Internet connection. Also, if you’re worried about loading up and slowing down Chrome with so many extensions, enable them only when you need them. The smartest way to do this is with a Chrome extension to manage your Chrome extensions 3 Chrome Extensions To Manage Your Chrome Extensions 3 Chrome Extensions To Manage Your Chrome Extensions Google Chrome has many extensions that work for you. But just like any collection of workers, when the force gets large enough, you need to get managers to make sure everything is running smoothly. Read More . That’ll allow you to enable and disable extensions in groups. 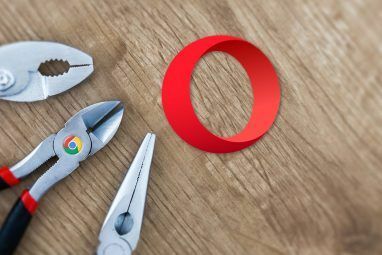 Which offline Chrome app or extension do you consider indispensable? Tell us about it in the comments. Explore more about: Browser Extensions, Chromebook, Google Chrome, Travel. Thank you for your list. I really like Relaxing Sounds extension. thanks for the article and always find them useful. Though I am an advent reader and use Kobo app on all my other devices. Unfortunately It doesn't seem I can use it on my awesome chrome notebook. Any alternatives you know of you could put in your next bunch of articles would be great. I'm glad to hear that, Jacqueline :) About Kobo: I'm not familiar with Kobo formats and such...if you want a ePub reader for your Chromebook, try Readium. Hope that helps. Thanks for the article. Short and sweet and has given me a couple things to go check out. I love the pictures that Momentum shows. The two I use the most are Kami and Doc and they pretty much cover what I need. Glad you found the article useful, Mike. I agree - Momentum pictures are beautiful. Do you use these apps on a Chromebook or on Chrome or another device? I use them on my chromebook mostly, but I use Google Docs on my Linux laptop and even when I boot into Windows. I have Microsoft office but prefer the simplicity of Google Docs since I don't generally use all the features of Office and can do everything with Docs or Libre Office.